Edo state chapter of the All Progressives Congress (APC), has admonished members of the state chapter of Peoples Democratic Party (PDP), to remain in their party to form a formidable opposition, rather than defecting to the APC. This development is on the heels of alleged plans made by some PDP members, particularly some of those who left the APC for PDP last year. It was gathered that Governor Adams Oshiomhole also shunned the idea of the PDP leaders coming to APC, insisting that, they should remain in PDP. 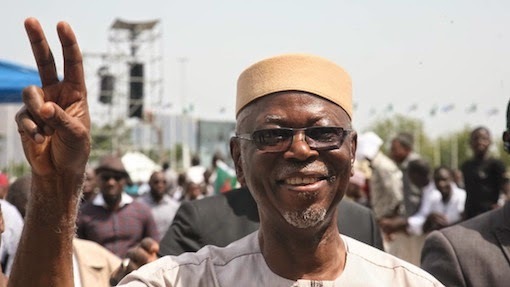 Following the refusal of the state leaders of the APC to accommodate former members, some of them were said to have approached the National Chairman of the APC, Chief John Odigie-Oyegun, with a view to facilitate their return to the party. It was further gathered that Oyegun expressed sympathy at the renegade members and may want to help them, he allegedly informed them that as a democrat, he will consult with the hierarchy of the party in the state before knowing what to do, a situation which has left the intending decampess at crossroads, not knowing what next to do. Reacting to the development, the State Publicity Secretary of the APC, Comrade Godwin Erhahon, said: “We are aware that very many habitual decampees are eager to leave PDP to join us, political parties are like a church, we will not drive them but ordinarily we will like them to remain in opposition so that they can remain formidable opposition to our government. APC government needs opposition for a healthy democracy. “As to whether or not we will give priority to them in terms of appointment, they will not be given priority, if any of them is coming with the hope of getting appointment the person should remain where he is. Those who have laboured to achieve this victory will benefit first. Unlike the PDP, APC does not regard political appointment as benefit as such. We see it as service. So only those who are credible and competent to serve will be given appointment. We don’t want PDP to die, we don’t want it to go into extinction, we encourage those who are still in PDP to remain there and help build up the party as opposition,” he declared.